You know oxygen is an important part of the winemaking process, but that doesn’t mean you always know how to manage or control it. Oxygen can do wonderful things for a wine, aiding in the development of more complex flavors and improving mouthfeel. But oxygen can also be your wine's worst enemy. #1 HOW DOES OXYGEN GET IN? #2 HOW MUCH OXYGEN COMES IN? #3 WHEN DOES OXYGEN COME IN? 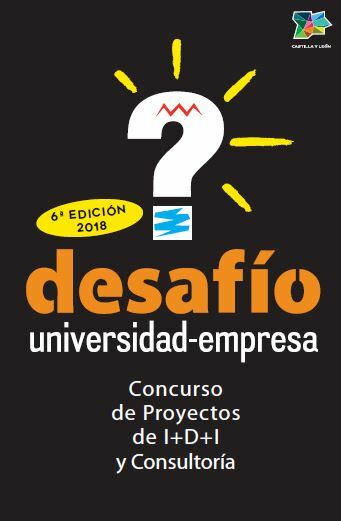 El primer premio de la 6ª edición del concurso Desafio Universidad Empresa ha recaído en la solución presentada por María del Álamo Sanza, del Grupo de Investigación UVaMOX, con sede en la Escuela Técnica Superior de Ingenierías Agrarias del Campus de Palencia de la Universidad de Valladolid, en respuesta a un reto planteado por la empresa Bodegas Vega Sicilia S.A., relativo al control del oxígeno durante el proceso de crianza del vino. Oxidation of wine while in contact with oak wood is a well-known fact and recognized as an important process in wine ageing. 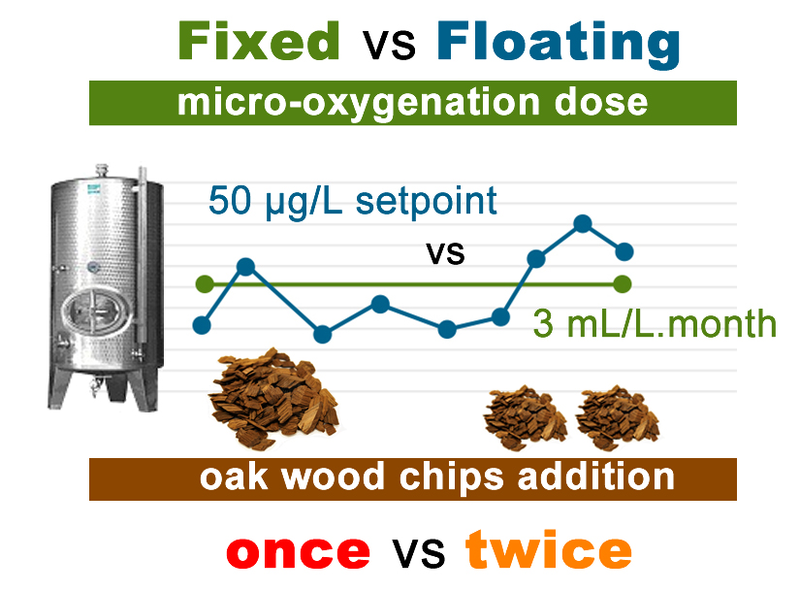 The slow and continuous diffusion of oxygen from the oak wood entrapped in its porosity occurs and encourages the reactions usually related with wine aging. 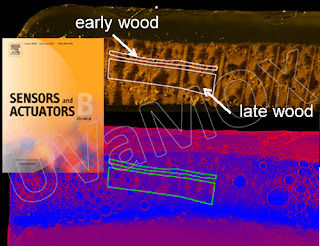 In this work, oxygen sensitive particles were used to study the oxygen dynamics from different anatomical regions of the oak wood and simultaneously the oxygen increasement because of the deoxygenation of the wood and the oxygen depletion due to its consumption by the tannins and other compounds released from the wood. To this end, core-shell-type PSPVP nanoparticles stained with Macrolex Fluorescence Yellow and Pt-TFPP were employed as reference and oxygen-sensitive particles respectively. Moreover, a Guppy Pro RGB camera was employed to monitor the particles performing ratiometric oxygen imaging, using the green and red channels to acquire the light emitted from the reference and the oxygen-sensitive particles respectively. 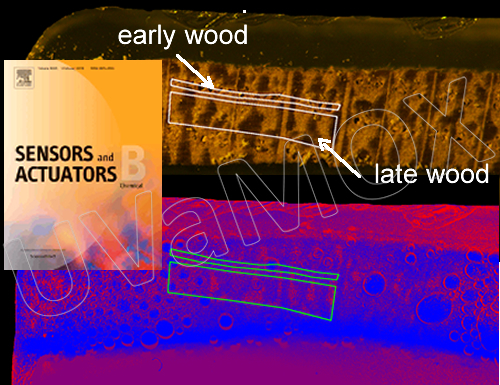 Because the volume of nanosensors corresponding to each surface unit is very different from that of the wood region, different exposure times were chosen to obtain the images at each of the times. 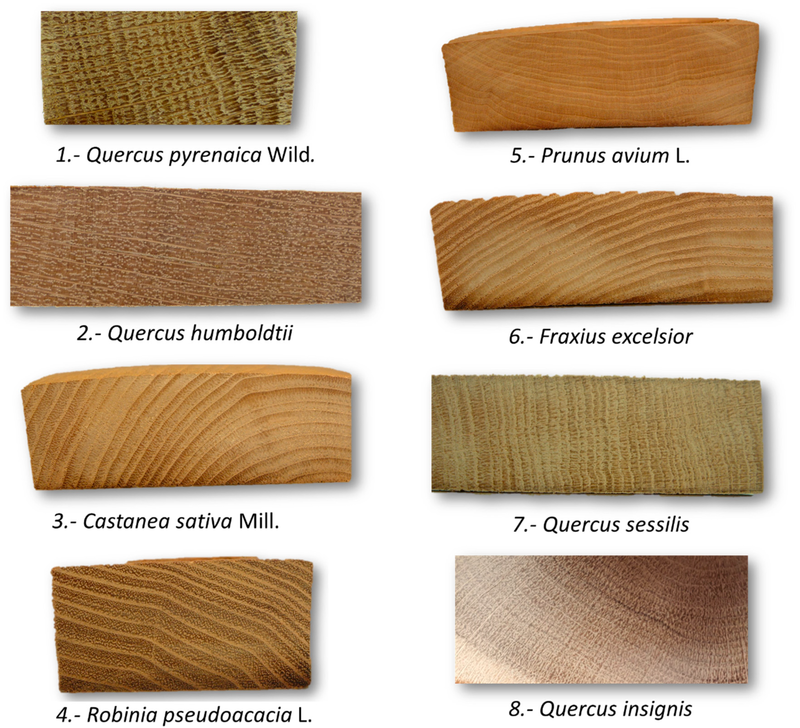 The results show the wood degassing process during the first minutes of the experiment, the oxygen release from different structural elements of the wood, its consumption by the released compounds from wood and the diffusion of the oxygen through the model wine. In November 2018 and coinciding with the tenth anniversary of its creation, the Institute of Grapevine and Wine Sciences (ICVV) organizes an international congress in the heart of the Rioja DOC, that aims to serve as a platform for interrelating the most relevant researchers of the international sphere in Grapevine and Wine Sciences. 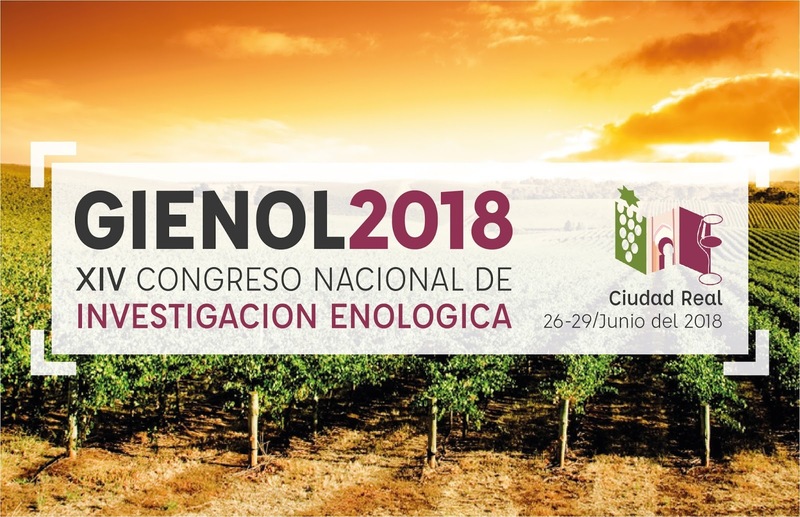 The congress will dedicate sessions to vine protection, genetic diversity and breeding, production management, vine physiology, oenological microbiology, sensorial evaluation and oenological chemistry and technology. In order to provide a multidisciplinary experience to the participants, the program will cover the main and most current research topics in this field, and all activities will be plenary. Registered people will have the opportunity to present the results of their recent research, in either oral or poster communication. This scientific event is also open to professionals of the sector who want to catch up with the latest advances in grapevine and wine research. 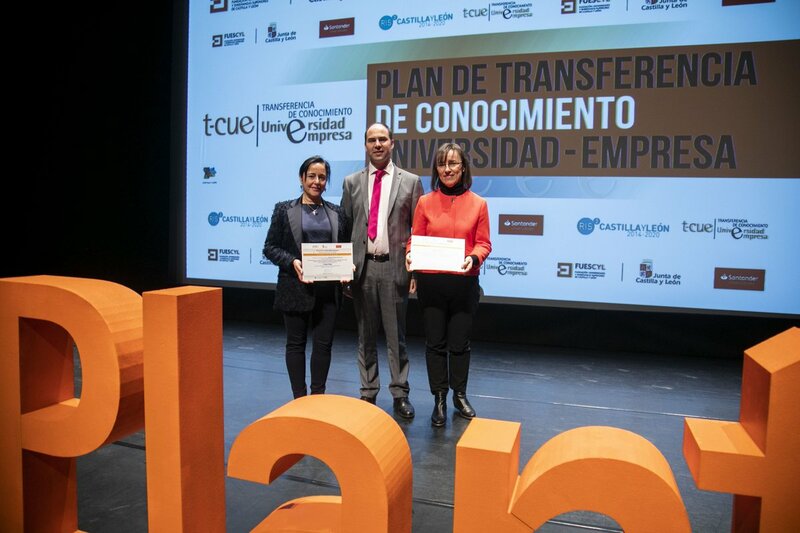 Simultaneous translation from English (official language of the congress) into Spanish will be available. Furthermore, the social program and technical visits will allow our visitors to enjoy the gastronomy, the landscape and the culture of this region with winemaking vocation and tradition. Congreso para aunar igualmente tradición e innovación manteniendo vivo el espíritu que originó Gienol, que no es otro que el de compartir la ciencia, la amistad y la pasión de todos los investigadores en Enología, y de despertar este interés en las nuevas generaciones de jóvenes investigadores. Lugar: Facultad de Ciencias y Tecnologías Químicas de Ciudad Real (Universidad de Castilla La Mancha). Ciudad Real. ¿Cómo funcionan los sistemas ópticos de medida de oxígeno disuelto? UVaMOX 2012. Tema Fantástico, S.A.. Con la tecnología de Blogger.